Do you want to join us in making a difference? Thursday 30 May 2019 marks the first ever Aussie Vape Day. A day dedicated to educating adult smokers, who have tried and failed to quit, about vaping with encouragement to ‘give it a go’ and make the switch. Your support will help us to save the lives of Australian smokers by supporting their transition to a much safer alternative. Donations of any size are welcome and gifts over $2 are tax-deductible. The campaign will include a dedicated website, a launch event, professionally produced videos, testimonials, social media infographics and mainstream media promotion, a flyer for beginners on how to switch and a handout on the common questions people ask. Aussie Vape Day is being co-hosted by ATHRA , Legalise Vaping Australia and the New Nicotine Alliance. 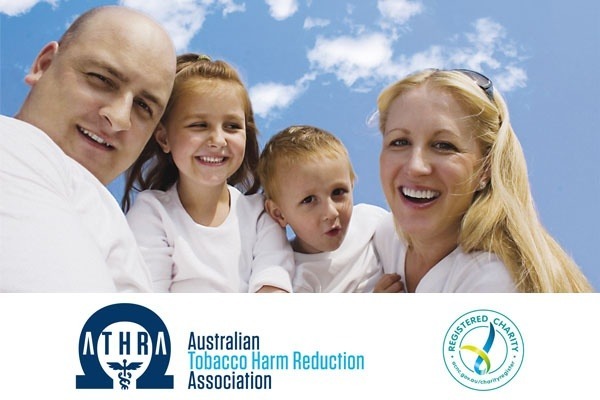 What is the Australian Tobacco Harm Reduction Association (ATHRA)? ATHRA is a registered health promotion charity established to reduce the harm from tobacco smoking in Australia. ATHRA was formed in October 2017 by four independent Australian medical practitioners with a passion for helping smokers and improving public health. The ATHRA Board of Directors consists of Conjoint Associate Professor Colin Mendelsohn, Dr Alex Wodak AM, Dr Joe Kosterich and Dr Catherine Silsbury. Your donation is made to PayPal Giving Fund Australia (ABN 65 105 950 945), a Public Ancillary Fund and a charity registered with the Australian Charities and Not-for-profits Commission, subject to its terms. * If, after reasonable efforts, PayPal Giving Fund Australia cannot deliver donations to this charity, it will grant funds to another charity per PayPal Giving Fund Australia's policies.